Index for Bodley of the Scotia Works. c.1925 c.1956 Alcock, Lindley and Bloore c.1925 Messrs. Alcock, Lindley and Bloore (who also had pottery works in Hanley) purchased the Scotia Works in Burslem. 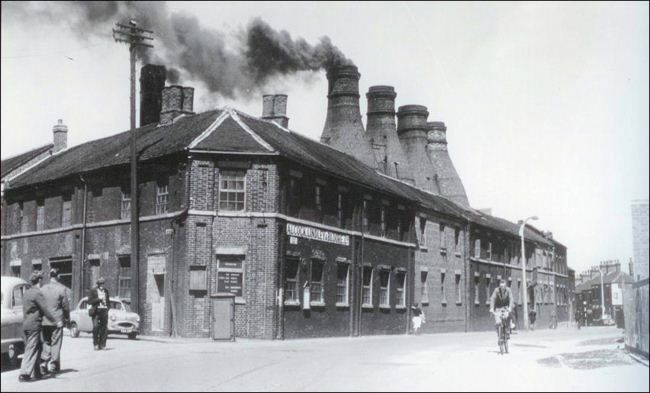 The Burslem Pottery Co. Ltd also continued to operate at the Scotia Works until c.1933. The factory was demolished in 1956. Alcock, Lindley & Bloore continued until c.1979 at works in Hanley.